Come down and get swimming at Penlan Leisure Centre. We offer an eight lane 25 metre swimming pool that can accommodates any aquatic needs. Our 25 metre pool has 8 lanes which is perfect for a relaxing open swim session or a proper training session. 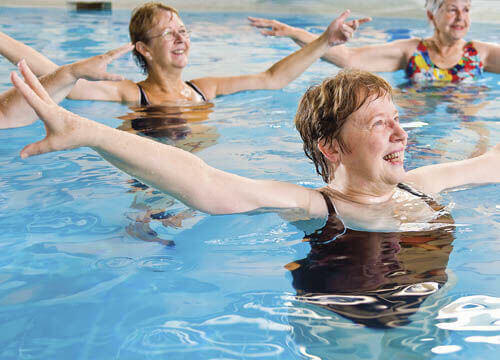 We also offer aqua aerobics classes which are a great way to stay in shape and recover from a previous injury. for more infromation click below. Children over 8years are able to use the pool unaccompanied.